Become a licensed aesthetician in just 3 months. Learn how to analyze skin and perform a full range of medical-grade treatments. New classes starting every month. Learn the internal and external factors that cause skin cells to degenerate — and what you can do to assist patients in this skin care specialist school program. 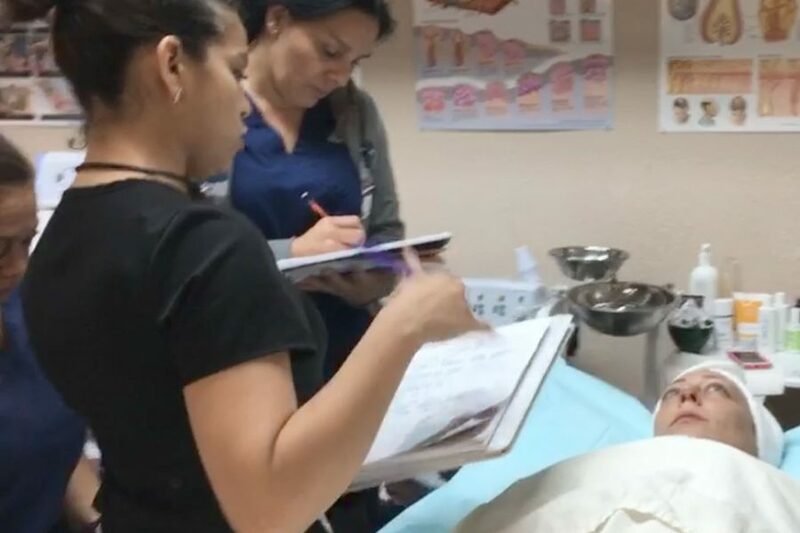 Apply the knowledge you learn in the classroom and in your clinical practice to come up with treatment plans and skincare regimens that will help your patients protect, repair and rejuvenate skin tissue. 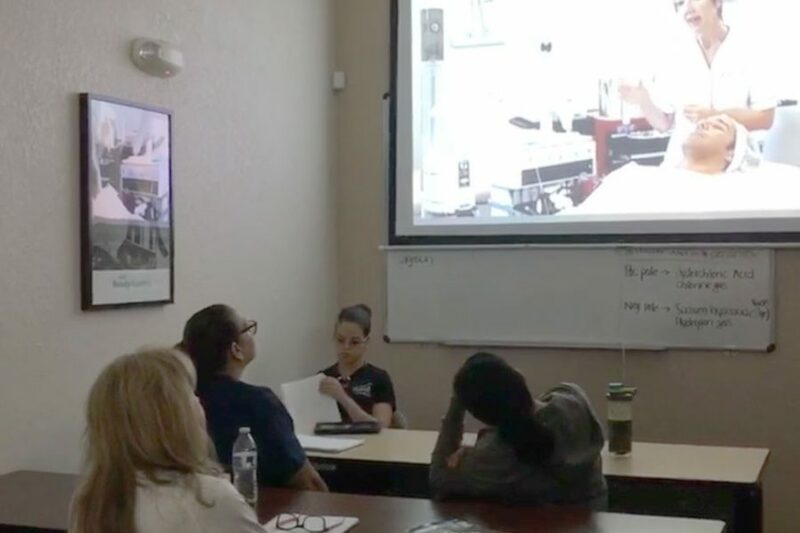 You’ll use the theories and knowledge base you learn in the classroom and apply it to your clinical training — giving you a leg up among other skin care professionals with the practical application experience with which FAMA provides. FAMA provides a superior academic experience and the curriculum goes beyond what’s expected from most esthetics school. Learn from seasoned professionals who are currently licensed with years of experience practicing in medical spa and doctors offices from around the state. More than that, your instructors also have years of teaching experience, so you can rest assure you’ll be learning from the best who are also dedicated and patient and explain the processes and procedures you’ll be performing in a practical sense. 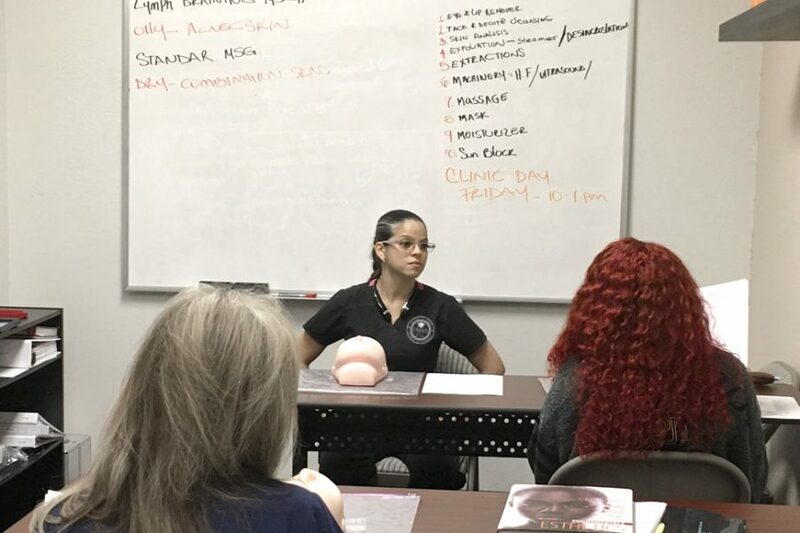 Whether you’re working toward your dream of becoming a licensed esthetician and owning your own salon or you are looking to climb to the top in sales in a skincare or product equipment line, FAMA’s professional instructors and on-site medical clinic will help you achieve your dreams. Get the tools you need to launch your career through FAMA’s small skin care classes and hands-on approach to learning. Whether you’re beginning your educational journey in school for aesthetics or you’re looking to take advanced courses in a medical environment, FAMA’s nurturing staff and top-level medical equipment will give you the learning experience that you crave. Students must prove that they are age 16 or older when enrolling in FAMA’s esthetician training skin care program. A parent or legal guardian must sign an enrollment agreement for students under the age of 18. To operate aesthetic equipment and perform clinical tasks with ease and dexterity, applicants must have full use of their physical extremities as well as good eyesight and the ability to carry more than 10 pounds as necessary. Students must submit an application, show proof of age, and present the proper high school or high school equivalency documents when enrolling in the skin care program or esthetician school. The esthetician school registration process is complete when the student has signed an enrollment agreement. Students must complete 280 hours of theoretical and clinical training (Lecture Hours: 100, Clinical Lab Hours: 180), including all required courses, examinations, homework and special assignments. To graduate, a student’s records must reflect satisfactory academic progress based on achieving an overall attendance level of at least 67% while earning a cumulative passing grade of 75 or higher. 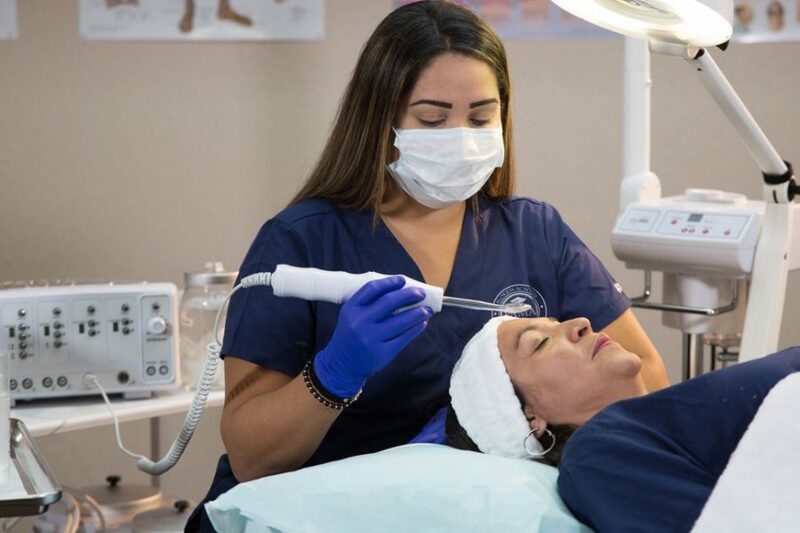 Skin Care graduates are eligible to apply for a Facial Specialist license, which should be submitted with applicable fees to the Florida Department of Professional and Business Regulation, Florida Board of Cosmetology. Once the application has been approved, the facial specialist license will be issued.